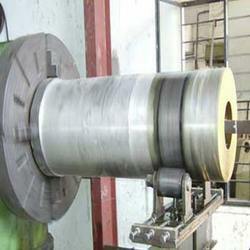 Prominent & Leading Manufacturer from Ahmedabad, we offer heavy lathe machine. For our profound customers, we have introduced Heavy Lathe Machine under the huge assortment of industrial products. Our experts carry out the manufacturing procedure in accordance with the industry laid parameters using advanced working facilities. Thus, we assure these offerings to be of incomparable quality standard.